Art supplies can be found anywhere. 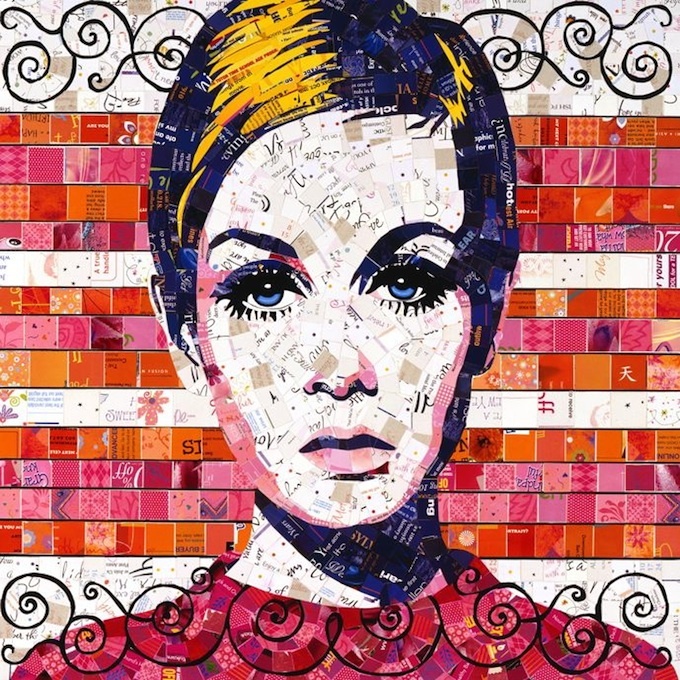 These colorful mosaics where hand made by Sandhi Schimmel Gold, using junk mail, calendars, photos, post cards, old greeting cards, and any paper waste he can find. He doesn't use technology or any type of program to create his art. His portraits are purely hand-made and they are absolutely amazing.